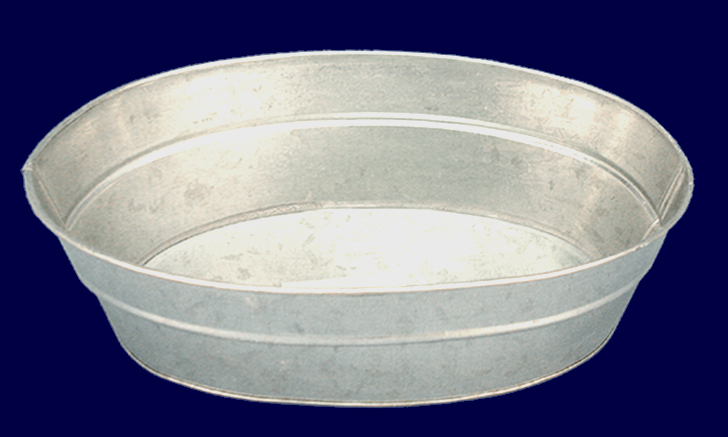 This new Galvanized metal container measures 13.25" long, 11" wide, 4" high. It makes a great gift basket as it is water proof. It can be used as an ice bucket or flower container. This item is also available in another shape. Please click item number C1842 to view.